For credit unions focused on boosting their auto loan client base, it is a prime time to revitalize marketing strategies geared at potential members who qualify for this type of financial service. The Federal Reserve is keeping interest rates at an all-time low to boost the economy, leading many individuals to consider auto refinancing to reduce car payments. As many consumers seek out better deals on their auto loans, many are comparing interest rates. Credit unions need to market themselves as the ideal lender. Marketing professionals at these financial organizations should take advantage of current economic conditions by reaching out to both qualified members and qualified prospects. If marketing efforts are directed at qualifying current and prospective members, credit unions can achieve a higher ROI. Marketers should target current credit union members who are the most likely to refinance existing loans. However, it may be difficult for marketing experts at credit unions to identify potential members without information that extends beyond their current membership. Business intelligence solutions help marketers identify the best target audience. With prescreening, analytics and predictive modeling capabilities, marketing professionals can help credit unions determine which car owners would benefit significantly from auto refinancing and therefore be their ideal members and prospects to target. Additionally, these capabilities can help financial institutions determine which individuals are most inclined to refinance – key information for credit unions looking to make the most out of their marketing dollars. Altair offers financial organizations these capabilities. Our customer intelligence solutions include predictive modeling and unparalleled data, analytics, and reporting, which allow marketing professionals at credit unions to target the most qualified member base, thereby increasing revenue. 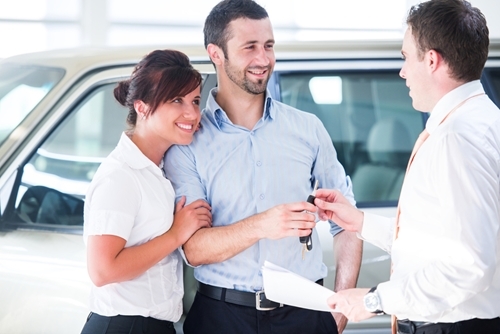 Marketing experts can make informed decisions by knowing which individuals hold the highest rates on their current auto loans, as well as match the members based on the credit union's required criteria, including credit scores, marital status and debt ratio. In addition, with the right data, credit unions can provide customers with specific, relevant information, such as how much money they could save with auto refinancing. With the right data-driven direct marketing strategy, credit unions can build solid reputations, save time and increase sales. This entry was posted in Credit Union Marketing. Bookmark the permalink.